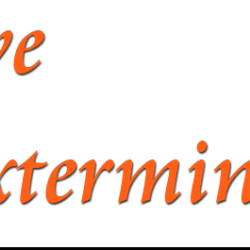 Our staff at Active Exterminating is dedicated to seeing that all our customers needs are met while helping to preserve our environment. 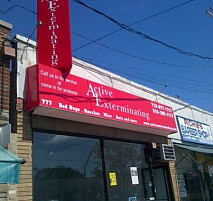 Our Exterminators are highly trained, professional and very knowledgeable in all areas of exterminating. So call or fill out our Request Form to schedule a visit and one of our highly trained staff members will be very happy to help you. Comments: Cornell put me at ease from the very first phone call. He set up an appointment for an inspection and explained in detail everything I had to do to prepare before he came for the actual job. The price he quoted was fair and included the initial extermination plus a follow up visit. (I was quoted higher prices where they do less). He answered all my questions and assured me he would get rid of the problem On all his visits he was thorough, knowledgeable, professional and friendly. 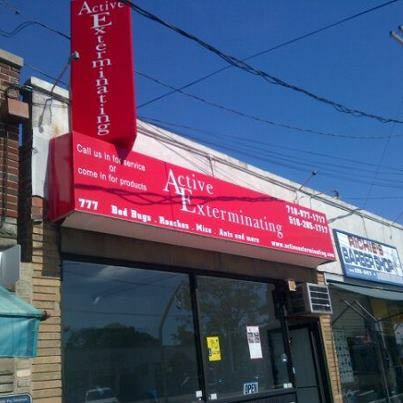 I would definitely recommend Active Exterminating. 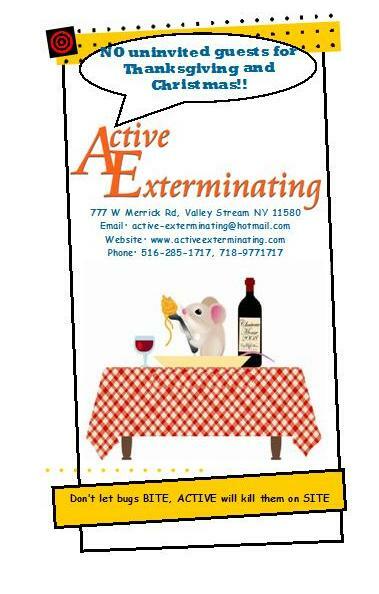 Comments: If you need an Astoria Exterminator...these guys are the best!!... Lets just say problem solved! 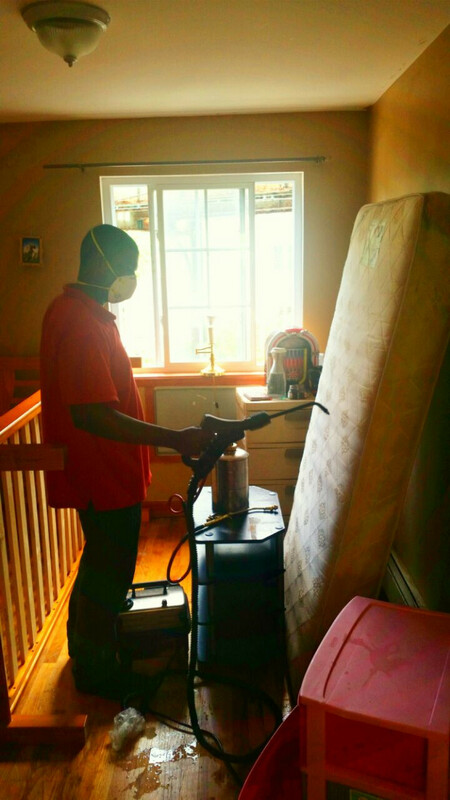 Work Description: I had called Active Exterminators to deal with a bed bug problem that had begun to arise in one of my bedrooms. Cornell and his associate (I'm sorry I forgot your name) came in and addressed the room promptly and very thoroughly. 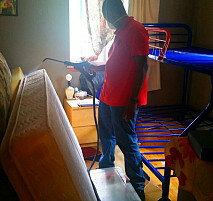 He then began to treat the other bedrooms and living rooms as a precautionary matter and told us about other pests that might be residing in my home as well. He also helped attend to those matters and gave my family & I a set of instructions to prevent any further occurrences. Comments: All in all it was a great experience. It was also done in a very timely manner and the entire time he was extremely professional. 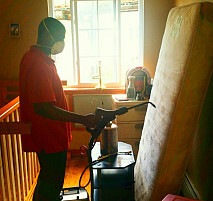 I will definitely recommend him to anyone that I know that is having problems with bed bugs or any other types of pests. Work Description: he fumigated and steamed the apt. plus left traps and spread a powder for these bugs. Comments: I was trying to help my son with his problem so I went into the network. I had a couple of persons that called back. I told my son who called back. He told me the person he called was very informative and did a good job. He was satisfied with his work. But what I liked more since I was the one to call him first was that he called me back and also explained what he did and that was so amazing to me because. I would recommend this company to friends and family. Thank you again Mr C.
Work Description: Polite, professional, arrived on time and did a great job. Comments: Very punctual, very good at explaining to me exactly what was going on and what would be done, very thorough...they sprayed EVERYWHERE! I'm still waiting for my second visit (included in the price), but so far, no bites. I'd recommend these guys to anyone, I was very impressed! Work Description: Inspection to see if a room was infected with bed bugs. Comments: The exterminator was very knowledgeable and inspect the area throughly. He also communicated very well. Work Description: First round of exterminating apt. 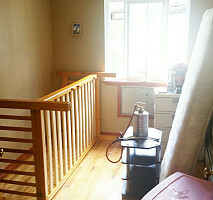 Prior to placing furniture in storage. Comments: Cornell was great. It was actually very hard decision but it came to timing btw a few of them. 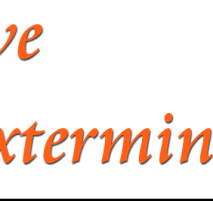 Comments: I am very satisfied with service that active exterminating provided. My home is now bed bug free. They also educated me how to prevent them from coming back. 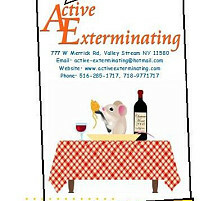 I highly recommend them for any one who is in need of a exterminator. 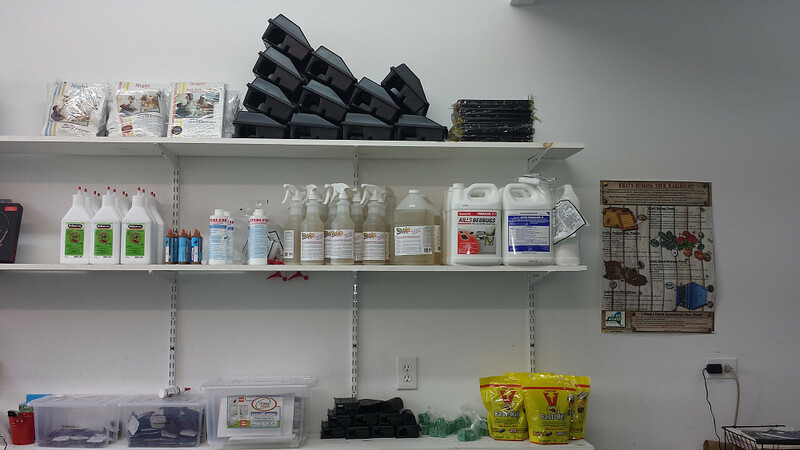 Store front where clients can visit and buy products! 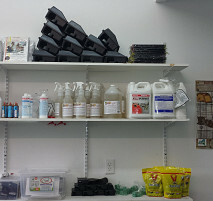 Inside Store with DIY chemicals! !